How do you know that someone loves you? Listen to what the individual says and watch what that person does. There must be a demonstration of love, first of all with God, and secondly with others. God didn’t just say, “I love you, world” and blow the earth a kiss, He communicated His love when He so loved that He gave His only begotten son. The Verse of the Day for February 22, 2014 offers a comforting reminder in the midst of these tempestuous times in which we live. With corn, wine and oil supplied by your gracious right hand. The commandments, “You shall not commit adultery,” “You shall not murder,” “You shall not steal,” “You shall not covet,” and whatever other command there may be, are summed up in this one command: “Love your neighbor as yourself.” Love does no harm to a neighbor. Therefore love is the fulfillment of the law. Verse two of Genesis 1 begins with the conjunction “and,” the most frequently used word in the King James Version of the Bible, being used 28,364 times. The figure of speech known as polysyndeton involves using “many ands” where is there is emphasis placed on each item listed in any series connected by the conjunction. This figure is particularly noteworthy in Genesis 1:2 and the verses that follow. The Book of Genesis and subsequent books of the Bible unfold the consequences of the first broken relationship when Lucifer chooses to break fellowship with God, thus becoming the “first murderer” and “the father of lies” who begets an untruth in the very presence of truth. We see the devastating consequences of his deadly influence in the Fall of Man and the degradation of humanity and all of earthly life itself. The Scriptures reveal God’s ultimate desire for reconciliation and the healing of all broken relationships, expressed through Jesus Christ. As ambassadors or representatives of Christ, we stand in his place, using the word of reconciliation which is part of the ministry of reconciliation, as we endeavor to restore broken relationships, first with God and with others as well (II Corinthians 5:17-21). The primary relationship in life is one’s relationship with God. Matthew 6:33 reminds us to “Seek first the kingdom of God and His righteousness, and all these things will be added unto you.” We also recognize “The first and great commandment: To love God with all your heart, soul, mind and strength.” Believers are further instructed to “love your neighbor as yourself.” When we love God, first of all, and then love others to the same degree that we love ourselves, we fulfill the law of love which is the highest expression of God who is love. for he who loves another has fulfilled the law. Of the precious love so freely given to you? When words cannot convey all you desire to say. But He looks beyond your faults and sees your intent. This debt of love so great that no one can repay. The Verse of the Day for February 16, 2014 brings to mind a life-changing conference conducted last year: “It’s All about Relationships Conference–2013” Hosted by Apostles Eric and Carolyn Warren of Equip U Ministries in Reynoldsburg, OH, the three-day event offered informative presentations, workshops and forums designed for married couples, singles, friends, co-workers, teens and senior citizens. Love, indeed, is the first principle of all relationships, the foundation stone expressed in the first and great commandment: Love God with all your heart, soul, mind and strength, and love your neighbor as yourself. On these two hang all the law and the prophets,” said Jesus Christ. While we mature, applying the Word that we might grow. We experience victory, healing and deliverance. Barriers that hinder fellowship with God and others. Returning to “His image” the source that will sustain. Let’s put it another way: Love is the application of the first and great commandment: Love God with all your heart, soul, mind and strength, and love your neighbor as yourself. On these two hang all the law and the prophets,” said Jesus Christ. Love is where it begins, and love is where it ends. Also remember that the last shall be first, and the first shall be last. Each day we must decide to demonstrate, freely give and practice love, as we follow Christ’s command that we love one another. A bell is not a bell till you ring it. A song is not a song till you sing it. Love in your heart isn’t put there to stay. Love isn’t love till you give it away. The last line reminds us that with love, there must be a demonstration or manifestation to express the reality of that powerful emotion. 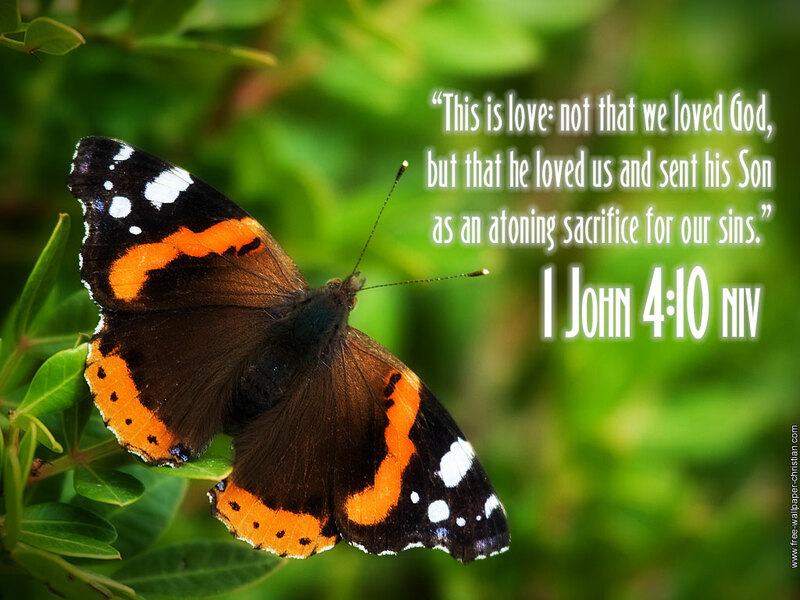 We speak of the love of God in manifestation which is so clearly demonstrated in one of the most widely recognized verses in the Bible, John 3:16. 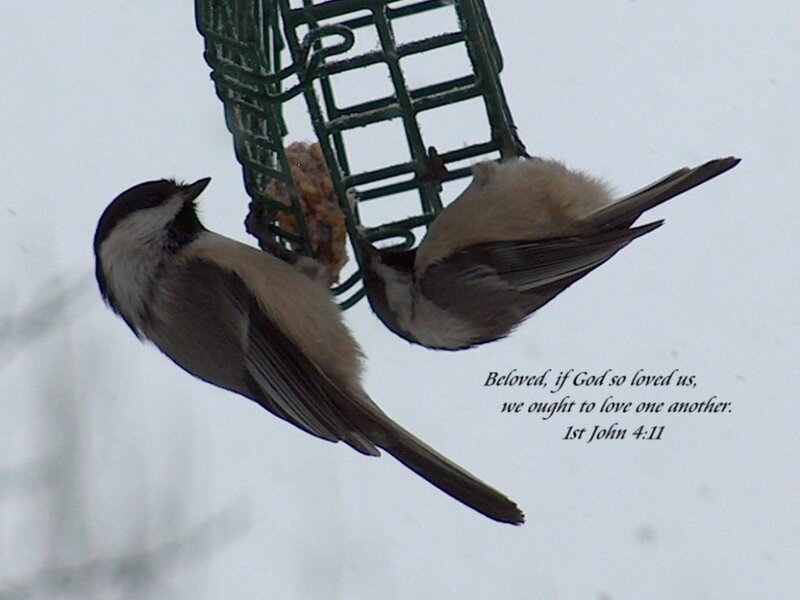 And we have known and believed the love that God has for us. God is love, and he who abides in love abides in God and God in him. The love of God is “perfected” or made complete or brought to maturity in us when we walk in the steps of Jesus Christ, the ultimate example of perfect love. We must do more than think about love or talk about love; we must demonstrate love by what we do, just as God did in offering His son as a demonstration that He so loved the world. 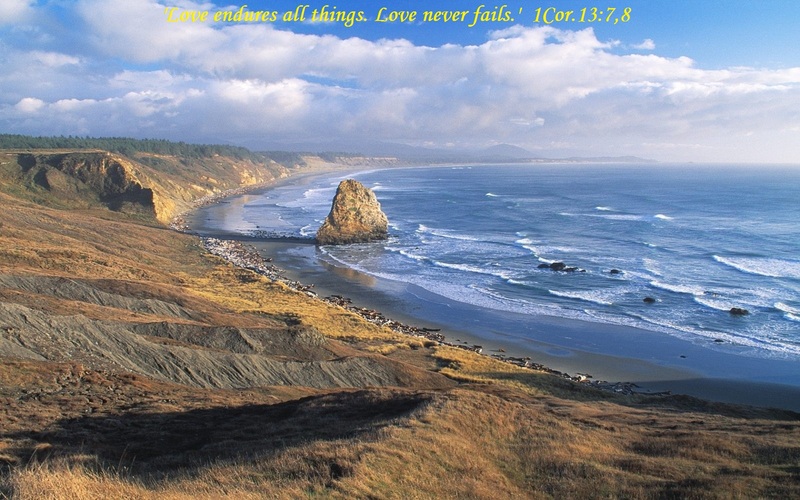 The vastness of God’s love is revealed in the song “The Love of God,” rendered so powerfully, yet poignantly, by “Mercy Me,” an appropriate way to conclude this blog entry.